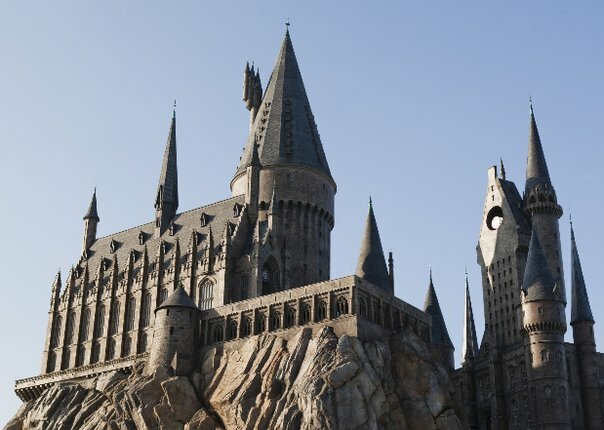 Welcome to the new Hogwarts Philippines Castle! If you were previously registered in our old forum, please create a new account using your old username. If you're new to the Forum, then go ahead and use the username of your choice. Using the names of characters (e.g. Harry Potter, Ron Weasley, Lord Voldemort, etc.) is NOT ALLOWED. After registering, please make sure to follow the SORTING INSTRUCTIONS in the Entrance Hall and read the guidelines and announcements in the Great Hall. If you've been passing by the Room of Requirement, then you know that we will be participating in Magnavision Home Video's promo activities for the release of the "Harry Potter and the Deathly Hallows - Part 1" DVD. The Eastwood Mall leg of the Roadshow is happening this weekend, June 17-19. There will be a collectibles exhibit, some fun and games, and photo ops with PHP members from 3-5pm for all days. If you were not eligible to sign-up as a volunteer, that doesn't mean you can't join in the fun. Come and join the other PHP members who will be there. Come in costume if you feel like it, too! Warner Bros. Philippines has informed us that they're bringing in 4 HP movie costumes from London for exhibit at ToyCon 2011 at Megamall this weekend. They'll be having a Harry costume, a Luna costume, a Bellatrix costume, and a quidditch ensemble on display. And yes, these were used during the filming! So before you visit the Magnavision Roadshow at Eastwood this weekend (and please do! we need 3 more volunteers for Friday, too. ), you can pass by ToyCon to take a look at the costumes. For more information, please visit the official ToyCon 2011 website. Courtesy of Warner Bros. Phils. MANILA, Nov. 22 – It's Pottermania all over again in the Philippines as Warner Bros.' “Harry Potter and the Deathly Hallows – Part 1” shattered records and created box-office magic! The seventh Potter film made history by debuting with a death-defying P102-M nationwide for the Nov 18-21 frame, this according to Francis Soliven, general manager of Warner Bros. (F.E. ), Inc. which distributed the film. Rolling out in more than 100 screens across the country, “Deathly Hallows” posted magical openings in the following Top 20 cinemas: SM Mall of Asia (P8.13-M), SM North EDSA (P6.32-M), Trinoma (P5.98-M), Glorietta 4 (P3.97-M), Gateway Cineplex (P3.81-M), SM Megamall (P3.73-M), SM Cebu (P3.58-M), Greenbelt 3 (P2.96-M), Power Plant (P2.93-M) and Eastwood (P2.57-M). Also showing impressive sales are Shang Cineplex (P2.45-M), Ayala Cebu (P2.22-M), Robinsons Ermita (P2.13-M), Alabang Town Center (P2.12-M), Robinsons Galleria (P1.91-M), Theatremall (P1.73-M), Market Market (P1.62-M), Festival (P1.58-M), SM San Lazaro (P1.52-M) and SM Fairview (P1.44-M). Internationally, “Hallows – Part 1” soared to the top of the global box office in its opening weekend, earning a staggering $330.1 million dollars worldwide, encompassing $125.1 million in the US and $205 million overseas. The North American box office numbers shattered the franchise’s previous opening weekend record—held by “Harry Potter and the Goblet of Fire” at $102.6 million—surpassing it by an astounding 23%. Worldwide, the opening weekend for “Hallows” ranks as one of the highest of all time, which is especially impressive for a non-holiday weekend. With the success of its first six of seven titles, the Harry Potter series had already achieved the distinction of being the top-grossing film franchise of all time, reaching a combined worldwide gross of $5.4 billion. The numbers for “Deathly Hallows – Part 1,” as well as the anticipation for “Part 2,” opening on July 15, 2011, should ensure its place in film history for years to come. In “Part 1,” Harry, Ron and Hermione set out on their perilous mission to track down and destroy the secret to Voldemort’s immortality and destruction—the Horcruxes. On their own, without the guidance of their professors or the protection of Professor Dumbledore, the three friends must now rely on one another more than ever. But there are Dark Forces in their midst that threaten to tear them apart. Distributed by Warner Bros. Pictures, “Harry Potter and the Deathly Hallows – Part 1” is still showing across the Philippines. Two popular books have been placed on an online auction block over at the Book Bid Facebook Page. One is a signed copy of Suzanne Collins's The Hunger Games and the other is J.K. Rowling's Harry Potter and the Goblet of Fire. * Proceeds from this auction will benefit Ms. Letty Cid, a literacy advocate suffering from cancer. 1. To join the auction, bidders must be a member/fan/follower of the Book Bid Facebook account. 3. Subject of email must indicate the title of the book that they are bidding for: HP4 or Hunger Games. 4. The opening bid for Hunger Games is $40 and HP4 is $180. 5. Bid increments shall be $3. 6. The topmost bid and bidder every day shall be announced at the Book Bids FB account daily. 7. Bidding begins on July 9, 2010 and ends on July 17 at 8pm (Philippine time). 8. The final highest bidder shall be announced in the FB account the following day and shall receive an email on how to deposit the payment and get the book. 9. Final bid price is exclusive of shipping cost. 10. Money transfer should be made in the next 48 hours, otherwise the second highest bidder gets a chance to get the book at the second highest bid price given. Should you have any queries, please send them to the e-mail address indicated in the auction mechanics, as we have no direct contact with the organizers. You can visit the Facebook page for the auction to see more photos of the books. Following the release of the teaser trailer (Which you can watch/download here) last Tuesday, June 28, Warner Bros. revealed the official teaser poster for the 2-part movie, Harry Potter and the Deathly Hallows. “Harry Potter and the Deathly Hallows,” the seventh and final adventure in the Harry Potter film series, is a much-anticipated motion picture event to be told in two full-length parts. Part 1 begins as Harry, Ron and Hermione set out on their perilous mission to track down and destroy the secret to Voldemort’s immortality and destruction—the Horcruxes. On their own, without the guidance of their professors or the protection of Professor Dumbledore, the three friends must now rely on one another more than ever. But there are Dark Forces in their midst that threaten to tear them apart. Meanwhile, the wizarding world has become a dangerous place for all enemies of the Dark Lord. The long-feared war has begun and Voldemort’s Death Eaters seize control of the Ministry of Magic and even Hogwarts, terrorizing and arresting anyone who might oppose them. But the one prize they still seek is the one most valuable to Voldemort: Harry Potter. The Chosen One has become the hunted one as the Death Eaters search for Harry with orders to bring him to Voldemort…alive. Harry’s only hope is to find the Horcruxes before Voldemort finds him. But as he searches for clues, he uncovers an old and almost forgotten tale—the legend of the Deathly Hallows. And if the legend turns out to be true, it could give Voldemort the ultimate power he seeks. Little does Harry know that his future has already been decided by his past when, on that fateful day, he became “the Boy Who Lived.” No longer just a boy, Harry Potter is drawing ever closer to the task for which he has been preparing since the day he first stepped into Hogwarts: the ultimate battle with Voldemort. “Harry Potter and the Deathly Hallows” is directed by David Yates, who also helmed the blockbusters “Harry Potter and the Order of the Phoenix” and “Harry Potter and the Half-Blood Prince.” David Heyman, the producer of all of the Harry Potter films, produced the film, together with David Barron. 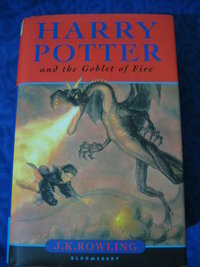 Screenwriter Steve Kloves adapted the screenplay, based on the book by J.K. Rowling. Lionel Wigram is the executive producer. Heading the cast, Daniel Radcliffe, Rupert Grint and Emma Watson reprise their roles as Harry Potter, Ron Weasley and Hermione Granger. The film’s ensemble cast also includes Helena Bonham Carter, Robbie Coltrane, Tom Felton, Ralph Fiennes, Brendan Gleeson, Richard Griffiths, John Hurt, Jason Isaacs, Helen McCrory, Bill Nighy, Miranda Richardson, Alan Rickman, Maggie Smith, Timothy Spall, Imelda Staunton, David Thewlis, Julie Walters and Bonnie Wright. Warner Bros. Pictures presents a Heyday Films production, “Harry Potter and the Deathly Hallows,” which marks the latest installment in the most successful film franchise of all time. 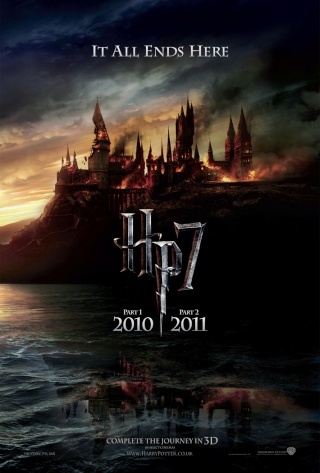 “Harry Potter and the Deathly Hallows – Part 1” will be released worldwide starting November 19, 2010, and “Part 2” starting July 15, 2011. Thank you to Warner Bros. Phils. for the poster image and synopsis. You can find the original news post at NewWorlds right here. Bloomsbury, UK publisher of the Harry Potter books, recently revealed the new, signature look of the seven books of the series. Clare Melinsky is the new illustrator of the famous books which will be available exclusively in paperback starting November 1, 2010. What do you guys think? Do the new illustrations appeal to you? Click on the thumbnails below for a better look. “This Universal Creative and Warner Bros. team shares an incredible passion and commitment to making this destination an exceptionally immersive environment that will touch the lives of our guests,” said Mark Woodbury, President, Universal Creative. I wish I had moolah to go there! » Chapters 2-5 - How can you do this JK? !